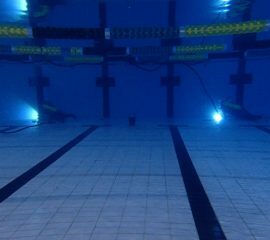 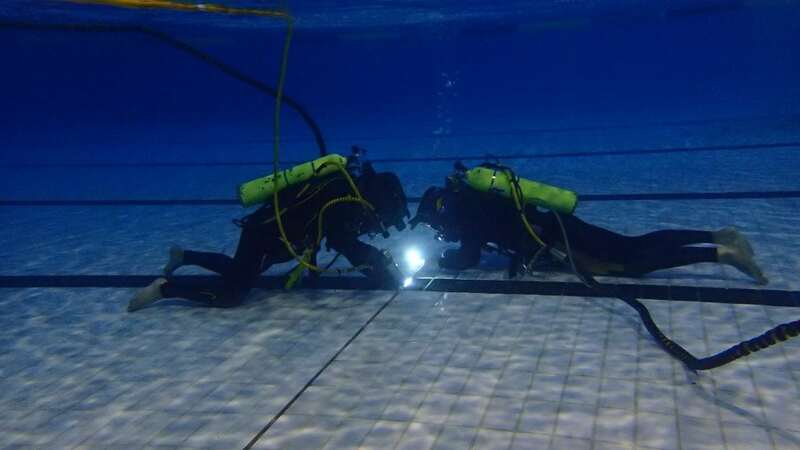 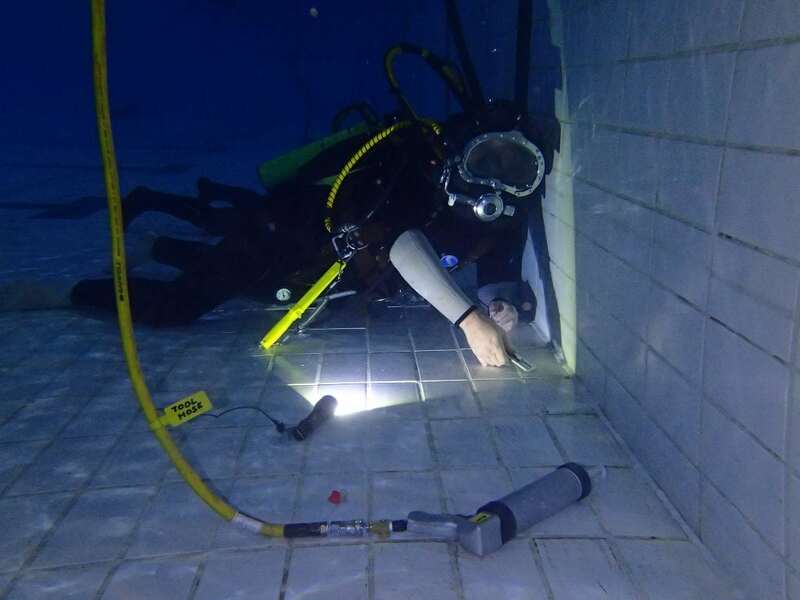 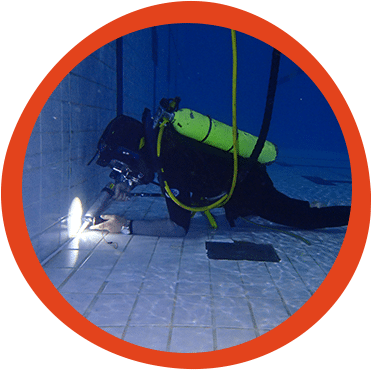 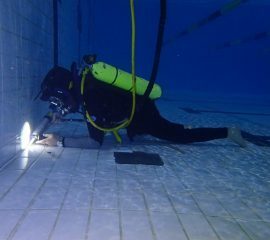 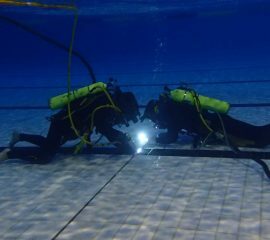 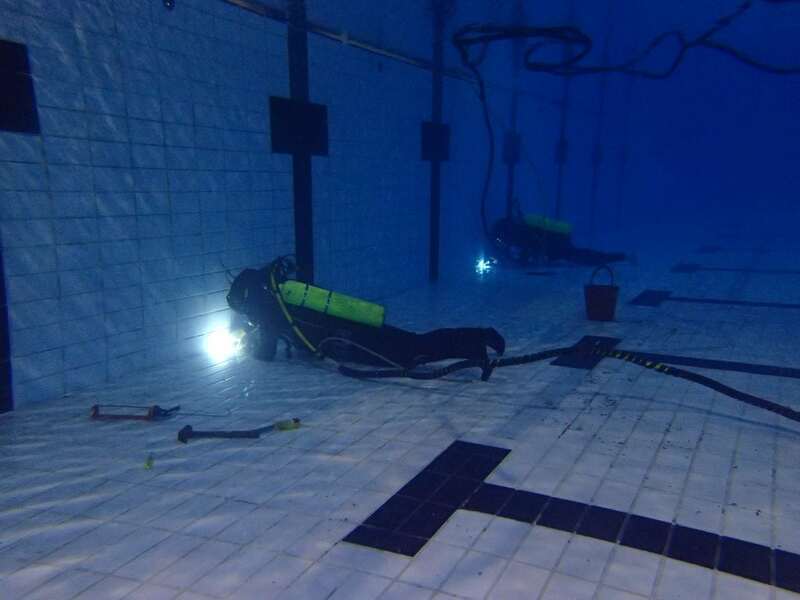 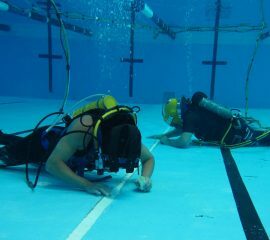 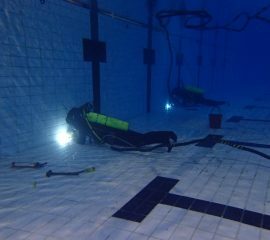 For over 20 years Fremantle Commercial Diving has been using specialised techniques developed in-house to perform underwater repairs and maintenance to salt and chlorine swimming pools. 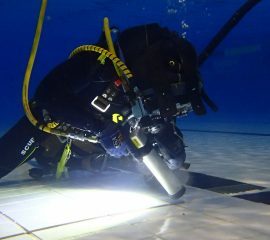 The benefits of not having to drain a pool to perform works can be enormous, especially if the pool is large. 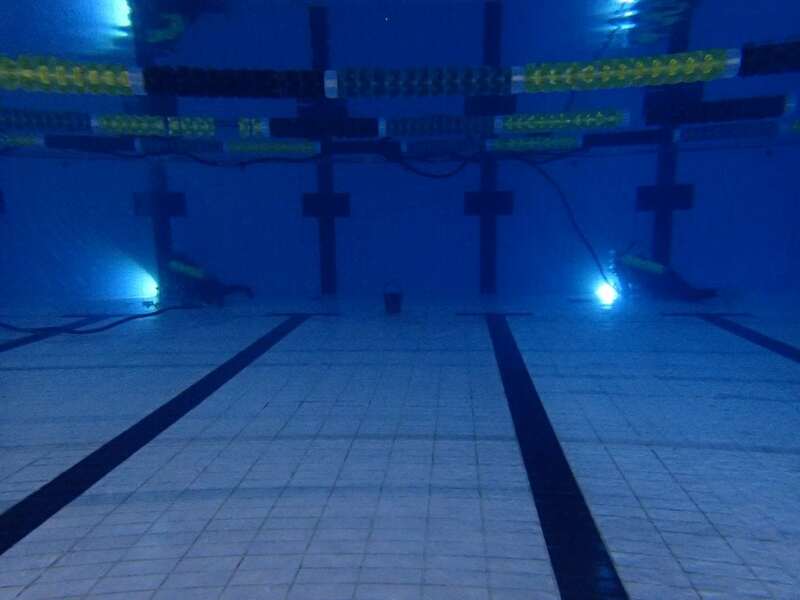 With a small area sectioned off, a public pool can remain in use throughout the process. 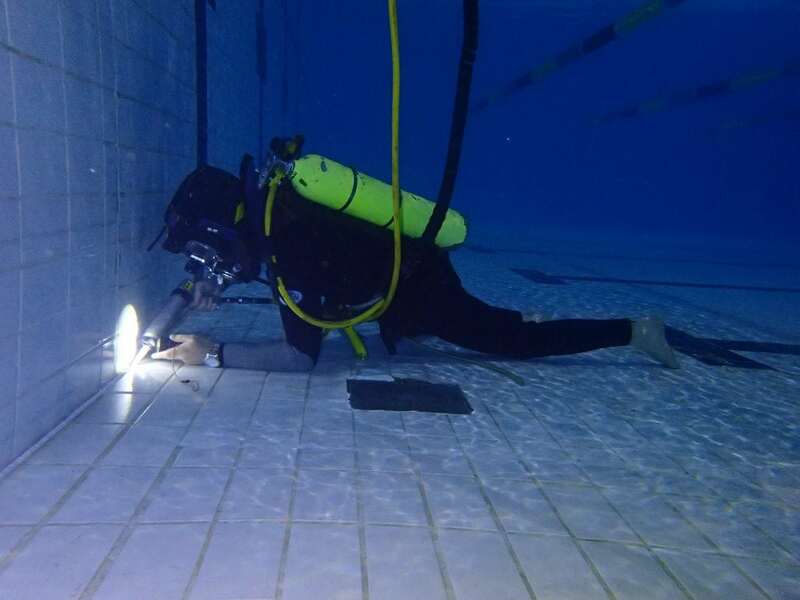 Using high quality, chlorine resistant products, we can re-tile walls and floors, lay new expansion joints, patch holes and grind sharp tile edges that can cut feet. 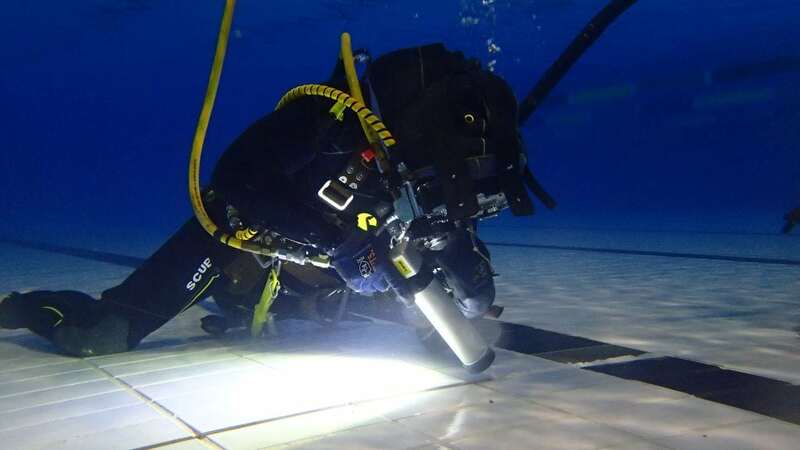 The quality of the work that can be achieved underwater is equal to that which can be achieved on surface, and we have many testimonials from satisfied clients across Australia. 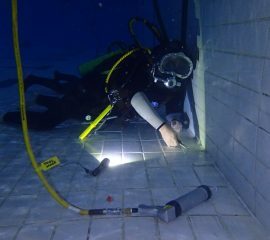 Contact us for details of similar repair jobs we have undertaken or a quotation for your works. 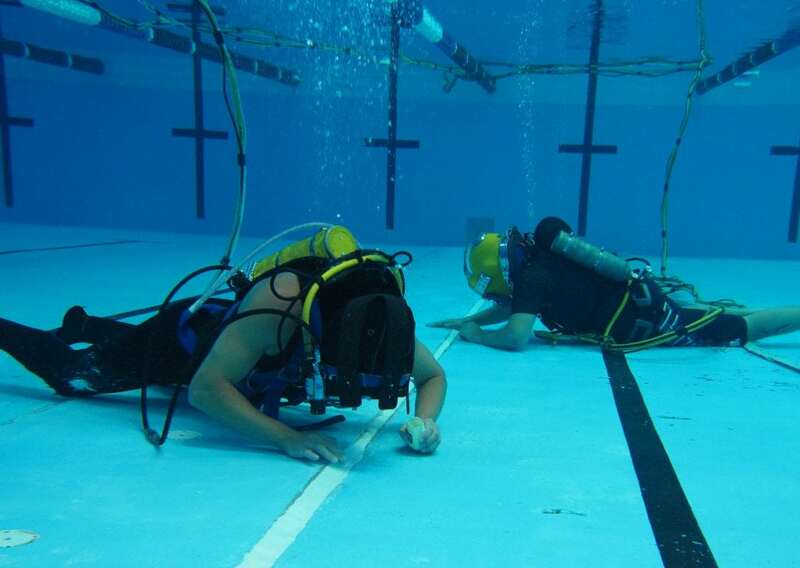 No job is too large or small and our process is very cost effective.